The odds of one volleyball phenom transferring to your school are a million to one. The odds of two volleyball phenoms transferring to your school in the same year are...well, they're too mind boggling to calculate. Pankus High has struggled at volleyball for as long as anyone can remember. 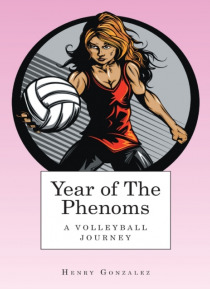 All that changes with the arrival of two volleyball phenoms--the brooding Fabiana Strazzi, and the energetic… Guy Pritchard. JC is ecstatic over their arrival, but not all of her teammates share in her enthusiasm. Can the team come together or will jealousy, fighting, suspensions, and injuries derail their promising season?